FInally back to the Island! Well, after about 8 weeks abroad, I’m back. My kitten is now a cat and I can now say that my apartment is clean – after a good mopping and washing of the cat! I’ve come back at a really nice time of year – rainy season! It makes the days not as hot because of the cloud coverage and I almost can get a little cold when it rains in the evening or the mornings. It is very pleasant. On another note... It has been really great to see everyone again. I was able to go over to U’s house and hand out with her, her mother, and younger sister! I have plans to hang out with her at, you guessed it, Starbucks tonight. 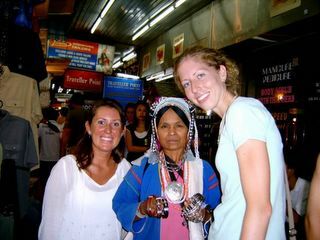 Jennifer and I with a very friendly saleslady!! J-men are sooo cool! This was our evening at the coffee shop!! 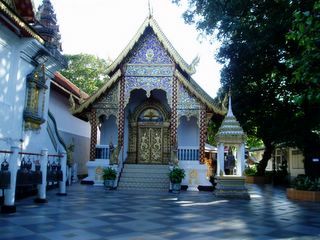 We visited a huge temple at the top of a hill - this is part of it. 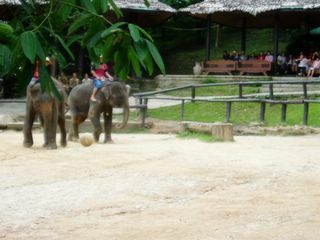 Elephant with elephant-sized soccer ball. Man, everyone plays this sport! 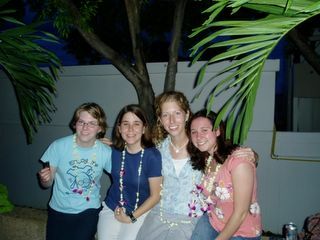 Fun at a cookout in Thailand - it was really good be with old friends and new! Well, it seems I am forever traveling - just the way I like it. 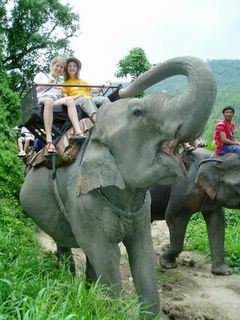 Hmmmm....Thailand...thee land of great food, elephants, tourism, and for me, meetings. 3 weeks of meetings!!! Don't worry, that is unusual, but I'm not complaining. In between meetings and seminars there are old friends to see and new ones to meet, shopping to do, sight-seeing galore, and restaurants to visit!! When I first arrived I was able to hang out with the guys!! I met up with an old friend from good ole' TFC, Zach, and some of his buddies, and we went spelunking (caving for those who are not of the outdoorsy nature), rafting, waterfall viewing, and motorbike riding in Northern Thailand. Not to mention the visits to Mike's Diner at night - that happens to have some of the best burgers and onion rings (though no onion ring compares to my homemade Vidalia onion rings). About a week later, I was able to meet up with my beloved crew from pre-field orientation. 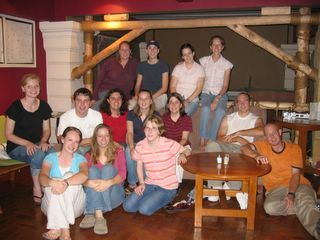 It was really great to see them all again and I can't believe that it has been over 6 months since I left the States! 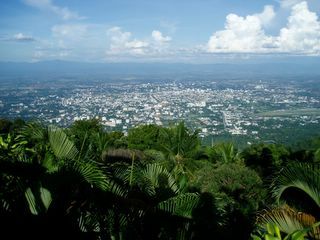 A beautiful view of Chiang Mei, Thailand. Thank you God! 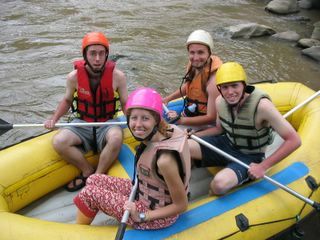 Our "white" water river rafting expedition.